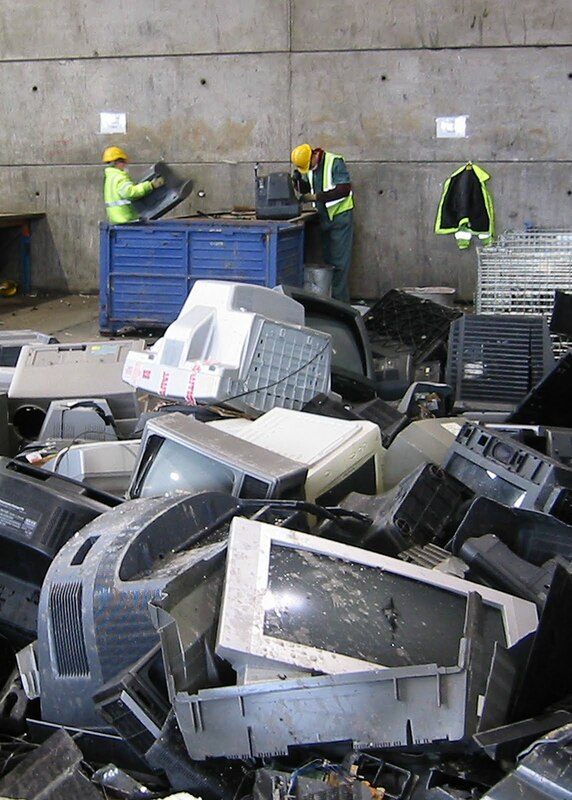 WEEE … What happens to your electrical items that go for recycling? Visiting the Specialist Waste Electrical and Electronic Equipment Processor (SWEEEP) recycling plant in Sittingbourne, Kent was a real opportunity to witness at first hand what actually happens to the electrical and electronic waste that is disposed of at the Reuse and Recycling Centre in Landmann Way, New Cross, Lewisham. This company has spent a small fortune on the latest technology to ensure that they can process the maximum possible from all the items of electrical waste that pass through their plant. They claim to be able to recycle up to 97% of all of the products which they receive including: TV’s, washing machines, photocopiers through to hairs dryers, microwave ovens and food mixers. WEEE covers just about all electric appliances that can be found in the home, everything from electronic games, DVD players, CD players, calculators, toasters, kettles, fridges, washing machines, audio systems, televisions, IT equipment through to commercial and industrial equipment. On arrival at the site, outside the large buildings where the processing takes place, are mountains of TV’s waiting to be dismantled. Inside, a small team of people strip the TV’s down in what seem like seconds. The plastic casings go down small chutes to join many others, while the cathode ray tube (CRT) goes onto a conveyor belt to be broken up further and separated into its different types of glass before the lead is extracted from the glass which all goes back into other industries for reusing. Some of the glass for example goes into the shot blasting industry. A different process takes place for items like washing machines and photocopiers. These are placed inside a machine that just seems to pulverise them into onto a mass of broken bits that drop out of the bottom of the machine. 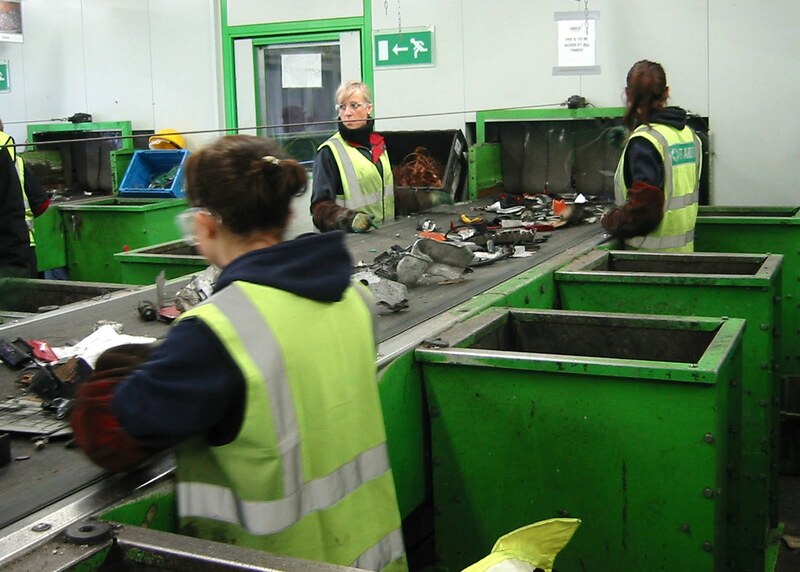 From here, the separated parts move along other conveyor belts to ensure that all useful and recyclable parts are separated. One of the final processes is the hand sorting. This involves a team of people picking off the valuable parts from the moving conveyors belts. In this room you witness the effort that goes into ensuring that everything that can be recycled, is recycled. 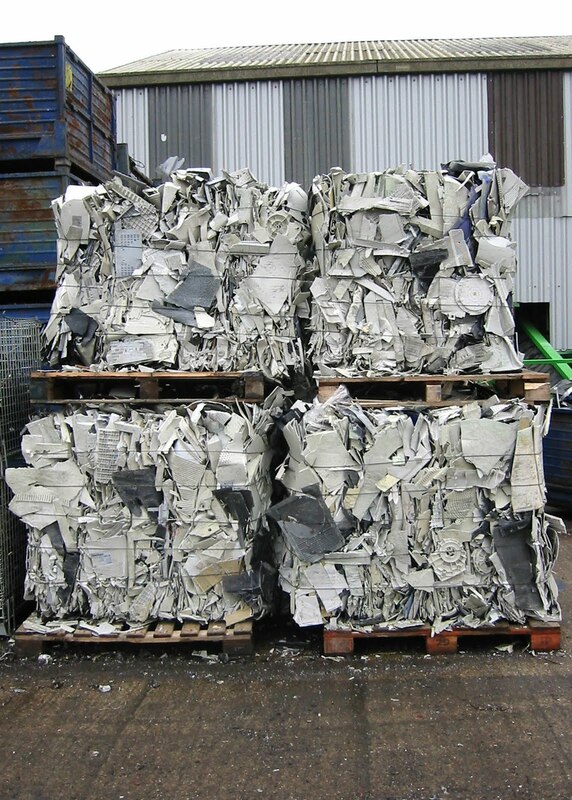 Once broken down the components are sent to various industries to be reprocessed or reused directly and have many applications, the picture to the left is of the computer casing baled and ready to be reprocessed. 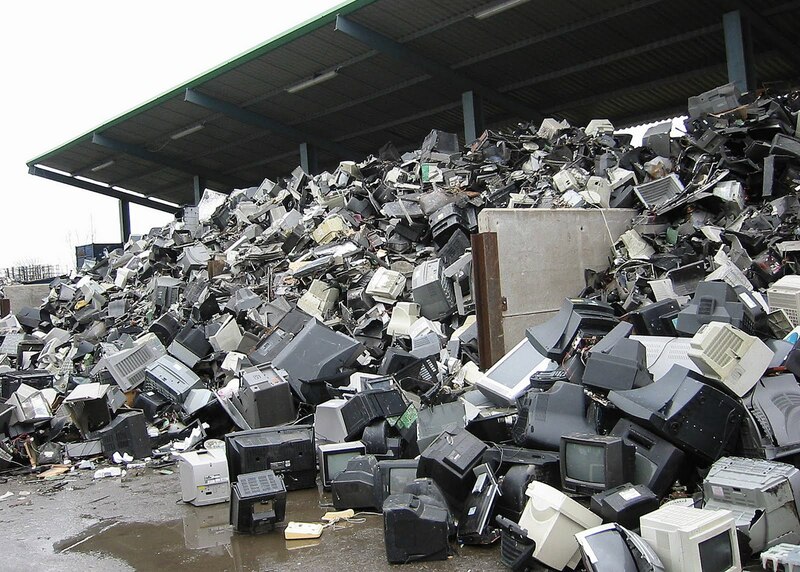 Categories: Reuse and Recycling Centre, WEEE | Tags: computers, IT, Recycling, tv's, washing machines, WEEE | Permalink.